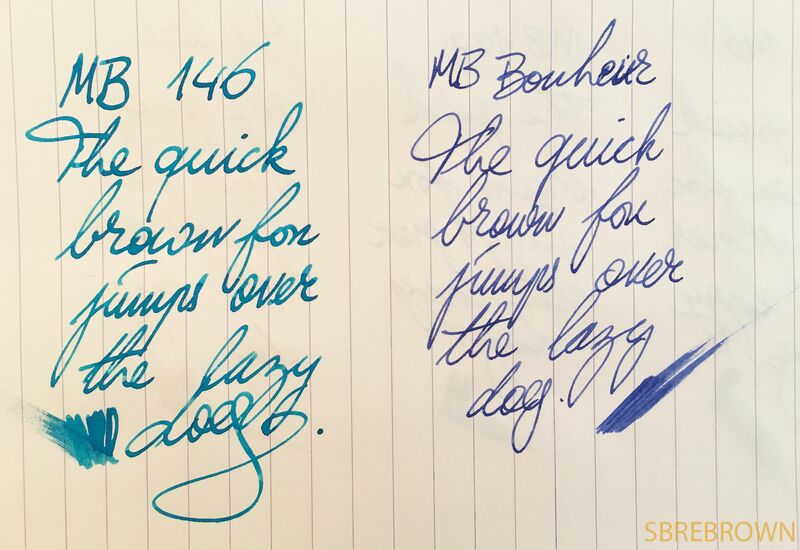 Let’s compare two Montblanc pens! The Bonheur was lent to me by Appelboom Pennen. This entry was posted in Reviews, Shootout and tagged Comparison, fountain pen shootout, Gold Nib, Meisterstuck 146, Montblanc, Montblanc Bonheur, piston filler on April 10, 2017 by sbrebrown.